Found 6 file extension associations related to XenServer and 6 file formats developed specifically for use with XenServer. 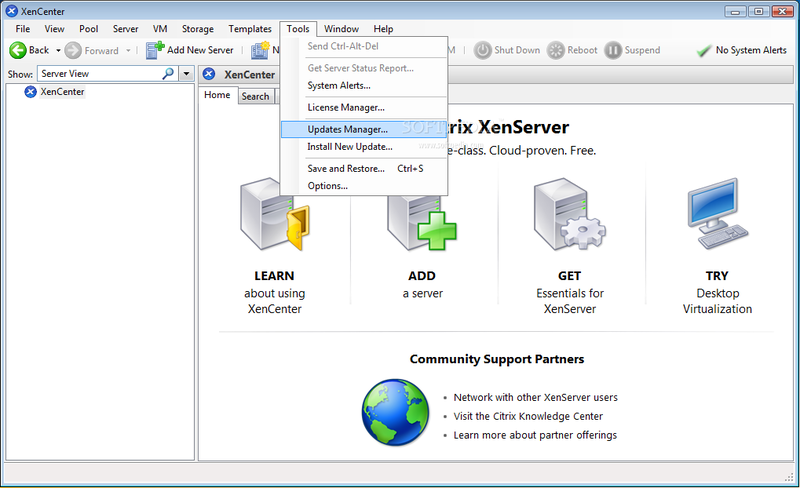 Citrix XenServer is a complete, managed server virtualization platform built on the powerful Xen hypervisor. Xen technology is widely acknowledged as the fastest and most secure virtualization software in the industry. XenServer is designed for efficient management of Windows and Linux virtual servers and delivers cost-effective server consolidation and business continuity. If you need more information please contact the developers of XenServer (Citrix Systems, Inc.), or check out their product website.